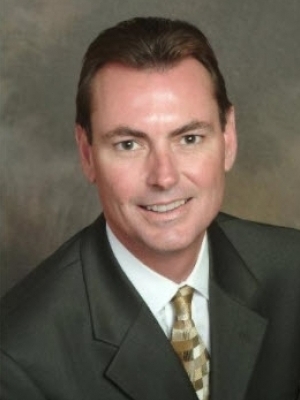 David E. Gilmore, CCIM, CAI, AARE, serves as national auctioneer and managing director for SVN Gilmore Auction & Realty Company, SVN Auction Services and the SVN Asset Recovery Team. With more than 35 years of accelerated marketing experience, Gilmore has sold more than 15,000 properties at public auction throughout the United States. 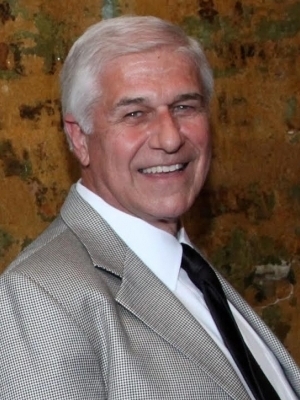 A veteran auction marketing professional, Gilmore has held contracts with Louisiana Land Trust Road Home properties, New Orleans Redevelopment Authority, Jefferson Parish, the City of Kenner, the Federal Deposit Insurance Corp. (FDIC), U.S. Department of Agriculture (USDA), Resolution Trust Corp. (RTC), General Services Administration (GSA), FSLIC, Small Business Administration (SBA), U. S. Marshals Service, U.S. Bankruptcy Court, asset managers as well as many regional & national banks. Gilmore is a recipient of the Certified Commercial Investment Member (CCIM) designation by the CCIM Institute (CAI) and Accredited Auctioneer of Real Estate (AARE) designations given by the National Auctioneers Association. He has been a multiple recipient of the Sperry Van Ness/SVN Partner Circle Award, President's Award, and Achiever Award. Gilmore holds real estate broker licenses in Louisiana, Mississippi, Arkansas and Oklahoma and auctioneer licenses in Louisiana, Mississippi, Texas, and Arkansas. He has been an instructor for the National Auctioneers Association, the National Association of Realtors and has served as a seminar presenter at the Transact 2000 Conference in Chicago. 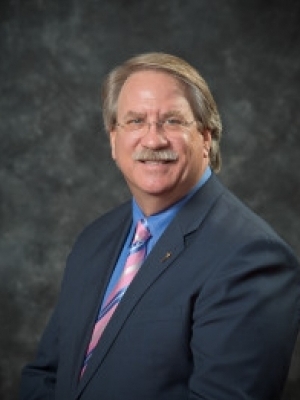 Gilmore is also a past president of the Auction Marketing Institute, a former ex-officio member of the National Auctioneers Association Board of Directors, past president and secretary/treasurer of the Louisiana Auctioneers Association, and the 1992 Louisiana State Champion Auctioneer. 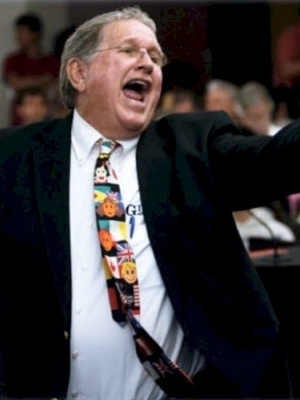 In 2007, Gilmore was inducted into the Louisiana Auctioneers Association Hall of Fame. Francis J. Braud is Vice President of Gilmore Auction & Realty Company, a New Orleans based firm specializing in the accelerated marketing of real estate and now serves as National Auction Broker and Senior Investment Advisor for SVN Gilmore Auction & Realty Company, Braud has over 40 years experience in the real estate industry. For the last 20 years as a partner in Gilmore Auction & Realty Co. he has helped pioneer the multi-property ballroom auction sale where over 100+ properties have been offered and sold at public auction on a single night for institutions such as Mellon Bank, Bank One, Hibernia National Bank, Whitney National Bank, First American Bank & Trust, Resolution Trust Corp. (RTC), Federal Deposit Insurance Corp. (FDIC) and others. Braud also serves as a commercial broker/owner of The Braud Company. Real estate experience includes national mortgage and Secondary mortgage markets brokerage, owner of Commercial and Residential real estate firms, Land Subdivision development and sales, commercial sales and leasing of multi-family, industrial, office buildings, retail shopping centers and Homebuilder. Braud is a member of such organizations as Certified Commercial Investment Member-Candidate, New Orleans Metropolitan Association of Realtors-Commercial Investment Division, the National and Louisiana Auctioneers Association, National Association of Realtors, Home Builders Association of Greater New Orleans, and the New Orleans City Club New Orleans Track Club. Braud received his Master and Bachelor of Science degrees from Louisiana State University. He resides in Kenner, Louisiana just outside of New Orleans. They have two grown daughters Danielle, CPA, Mary Kay Director, Portland, Oregon and Whitney, BSN, LRN, Luling, Louisiana specializing in Neonatal intensive care. Auctioneer, Bid Assistant and Project Manager for all of the SVN Gilmore sales since 1987. He is a licensed Real Estate Agent in Louisiana and Arkansas. Joe manages the North Louisiana and Arkansas office of SVN Gilmore Auction. Joe graduated from Louisiana Tech University and is a veteran of the U.S. Army. He is an avid collector of various antiques and handles the auction duties for many of the North Louisiana Ducks Unlimited Annual Banquets. Pierre Mouledoux, serves as Project Manager for our Auctions. Pierre’s responsibilities range from responding to prospective inquiries to auction follow-up. He is a licensed Louisiana Real Estate Agent and Notary Public. Pierre is key to our government and multi-property sales with his management skills and abilities. Pierre also represents buyers, sellers, lessors, and lessees through the traditional methods of real estate. Pierre grew up and resides in Old Metairie. He attended Jesuit High School and the University of Mississippi where he received a Bachelors of Business Administration degree with emphasis in Organizational Behavior and Real Estate. Pierre became a commissioned Notary Public in August of 2013. Pierre is a member of the Boy Scouts of America’s Troop 230 as an Assistant Scout Master where he earned his rank of Eagle Scout in 2003. He also serves on the Jefferson Parish, New Orleans, and Louisiana Ducks Unlimited Committees. Most recently, Pierre was selected to be the next State Publicity Chairman and State Webmaster for the Louisiana State Ducks Unlimited Committee. Chrissy Brignac serves as Office Manager and Executive Assistant to company president and Managing Director, David E. Gilmore and Senior Advisor, Francis J. Braud. Her duties as the office manager cover auction event coordination, data input, website maintenance, and marketing supervision. She has an outstanding customer relations history based upon her auction experience with the SVN Gilmore Team. Chrissy has over twelve years experience in real estate sales and auctions. She has managed Adjudicated auctions, New Orleans Road Home auctions, Louisiana Land Trust Auctions as well as many multi-property events. Chrissy graduated from St. Charles Catholic High School and now resides in Madisonville, Louisiana with her husband, Joe. Dustin D. Gilmore joined the SVN Gilmore Auction Team in 2010 and serves as Online Auction Manager, IT Specialist and Social Media expert. Dustin handles all web related duties including webpage uploads, maintenance, blogging, Facebook, Twitter, Instagram, and LinkedIn. Dustin graduated from John Curtis Christian School in 2004 where he was a member of the baseball, track, and three Louisiana State Championship football teams. He attended Jones County Junior College in Mississippi and Southeastern Louisiana University in Hammond on a baseball scholarship from 2005-2009 and was a pre-season Junior College All-American in 2008. Dustin resides in Kenner, Louisiana with his wife Kady and daughters, Sophie Clare and Swayze Kate.